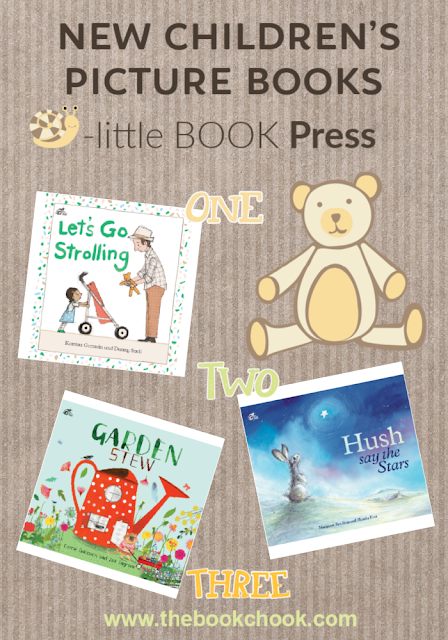 I have reviewed Little Book Press books before, and discussed the tremendous work in general of Raising Literacy Australia. 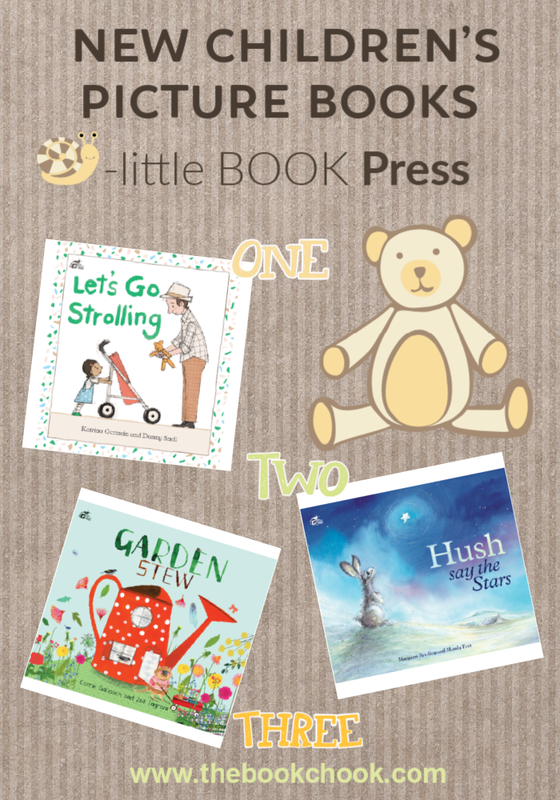 Little Book Press is the publishing arm of Raising Literacy Australia, and specialises in board and picture books to support early literacy and numeracy development. Today I want to introduce you to three of their recent titles. Let’s Go Strolling is a children’s picture book written by Katrina Germein, illustrated by Danny Snell and published by Little Book Press (2018.) RRP: $Au 16.99 PB. A delightful story with simple rhythm which centres on a family spending the day together out and about. Strolling to the park they say hello to a neighbour, marvel at the orange bus, wave to a rubbish truck and point to the ducks waddling by. Look outside. See the Sun. Let’s go now, have some fun. Puppy dog, butterfly. Aeroplane, cloudy sky. A story that focuses on everyday experiences and surroundings providing lots of opportunity for talk between parent and child. This is a charming gentle story, perfectly pitched at kids under five. It is written in simple rhyme, and there are lots of opportunities for children to hear and see the things that make up their own days. I love the way Germein includes vocabulary that involves children’s senses - we meet colours, textures, sounds and feelings as the walk progresses. The illustrations match the text perfectly, contributing to the atmosphere of gentle fun. The little girl in the story likes to name things when she strolls with Dad - this is an unspoken invitation to play that same game with our youngest “readers” either before, during, after the story, or all three. A nice follow-up activity would be to go for a stroll in children’s own neighbourhoods and “spot” things from the story. Hush Say the Stars is a children’s picture book written by Margaret Spurling, illustrated by Mandy Foot, and published by Little Book Press (2018.) RRP: $Au 16.99 PB. Here’s a lovely choice for settling down before going to sleep. Spurling has used rhyme, assonance and repetition to great effect in Hush Say the Stars. In my mind’s eye I see freshly-scrubbed youngsters helping turn its pages while their eyelids get heavier. And because of the lovely gentle text, I just know there will be parents fighting sleep too. Foot has matched illustrations to reinforce the text, using water soluble graphite pencils, chalk pastel pencils, watercolour and gouache on Fabriano watercolour paper. It truly is a beautiful picture book, just right for a bedtime read-aloud. Garden Stew is a children’s picture book written by Carrie Galasch, illustrated by Zoë Ingram and published by Little Book Press (2018.) RRP: $Au 16.99 PB. Join Quokkas, Tattie and Tiny Spud as they head outside for lots of fun. A pot, some sticks and petals too, it’s time to make garden stew! Reminiscent of making mud pies in the backyard. What fun to find a quokka as a main character in a children’s picture book! It’s a very cute, smiley quokka, with rosy cheeks and a red and white striped top. Apparently quokkas, like children, love to make garden stew. Kids will resonate immediately with play that involves combining spoons, bowls and garden bits and bobs. If they don’t already play at making garden stew, I know it will definitely be on the agenda after reading this book. Garden Stew is full of joy. From the brightly coloured, happy illustrations to the simple rhyming text, Garden Stew brims with things to delight us. On one page, a line of beetles ambles by; over here, feathers and gumnuts; and look there! three snails balancing on each other. The stew itself ends up looking a muddy mess which is just as it should be, and the quokkas end up under the garden hose - summertime fun for Australian kids everywhere. Another excellent choice for children under 5. Books for toddlers and babies may be dismissed by some, but they are in fact tremendously important. Little ones learn so much from being read to. For a start, they learn that reading is pleasurable. They pick this up from having that one-on-one very special time with a caring adult, who not only reads to them but chats about the story and the illustrations. Some clever adults also “play” with the story, emphasising certain words that make special sounds like “pop” or copying activities from the story. Little ones also learn from the actual story being read-aloud. They pick up so much about the natural rhythms and cadences of language, they meet characters important to their own culture, and they encounter activities, things and ideas that are new to them. My sincere congratulations go to all six book creators, above, and to Little Book Press for recognising quality and publishing it!